At profesjonsutøvere er ansvarlige og har ansvar knyttet til arbeidet de utfører, tar vi nærmest for gitt. Mitt sikte med denne artikkelen er å gi et innspill til nærere drøfting av hvordan det profesjonelle ansvaret kan forstås. 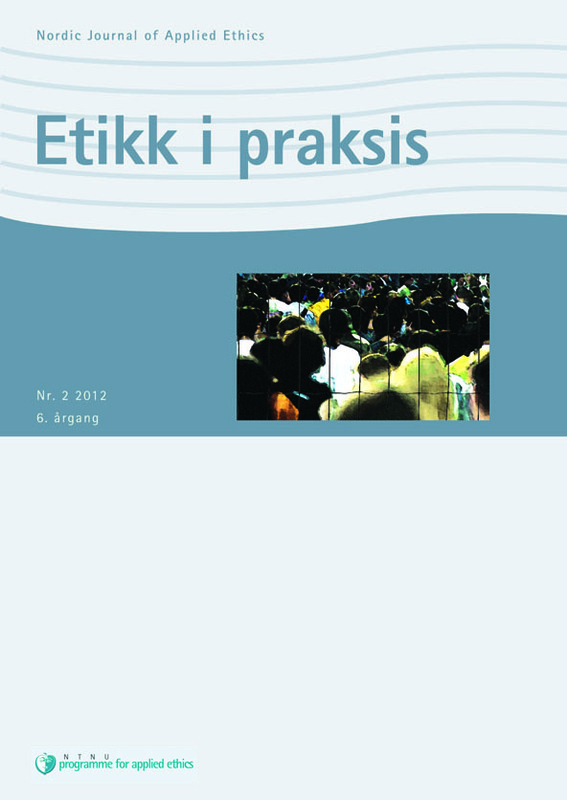 I nyere profesjonsetiske kodekser knyttes ansvar først og fremst til konsekvenser av handlinger. Det innebærer at den profesjonelles ansvar forutsetter at det kan trekkes en linje fra en handlings konsekvens til den handlende. I komplekse organisasjoner kan imidlertid rekonstruksjon av veien fra konsekvens av handling tilbake til den handlende vise seg vanskelig. Alternativt kan ansvar knyttes til spørsmål om handlingens samsvar med regler og prosedyrer. En slik tilnærming benevnes gjerne som «accountability». Disse to ulike tilnærmingene til ansvar har det til felles at det er handlingen som er i fokus – handlingens regelsamsvar eller dens konsekvenser, ikke en individuell dimensjon knyttet til den handlende som person. Den profesjonelle som selvstendig, tenkende og vurderende person blir perifer. Til videre drøfting av dette trekker jeg veksler på Hannah Arendts tenkning om ansvar. «To-i-én-dialog» og «tenkning» er sentrale elementer, og jeg vil peke på hennes bidrag som en mulig vei til en utdypet forståelse av det profesjonelle ansvarets individuelle dimensjon. It is almost taken for granted that professionals are responsible for the work they do. The scope of this article is to contribute to an evaluation of how we can understand this professional responsibility. Modern professional–ethical codes tie responsibility primarily to the consequences of acts. Thus the responsibility of a professional assumes that a connection can be drawn between the consequences of an act to the person who acted. However, in complex organizational structures, it can be difficult to find the path from consequence to actor. Another option is to look at responsibility as the product of an action's compliance with rules and procedures. Such an approach is often called «accountability». What these two different approaches to responsibility have in common is the focus on an action. It is the consequences of acts or compliance of rules that matter rather than the individual who performs the act. The idea of a professional as an autonomous, thinking and evaluating person becomes peripheral. The individual dimension of responsibility involves that the professional's responsibility goes beyond adherence to rules and procedures and what follows from tracking acts and consequences. I use Hannah Arendt's thoughts on the responsibility to facilitate further debate on this topic. A «two-in-one» dialogue and «thinking» are core elements in this, and I will point to her contribution as a possible path to a more in-depth understanding of the individual dimension of professional responsibility.